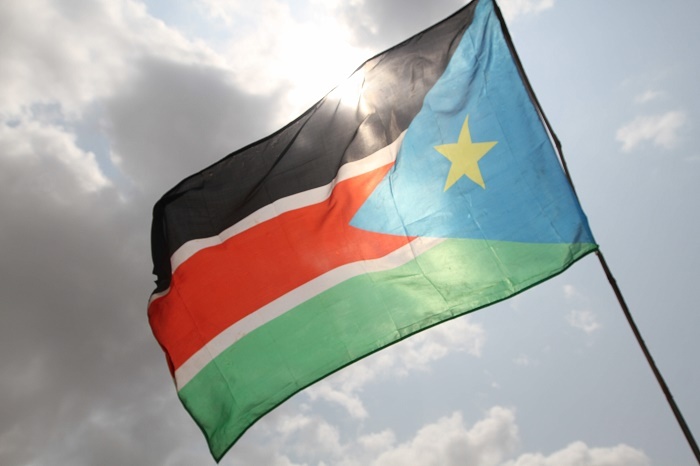 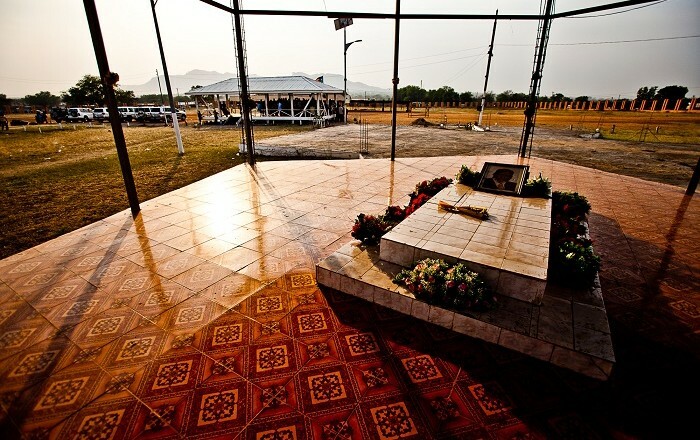 The John Garang Mausoleum is the last resting place of the founder and long-time leader of the Sudan People’s Liberation Movement (SPLA), Dr. John Garang de Mabior, located in the capital city of the Republic of South Sudan, Juba. 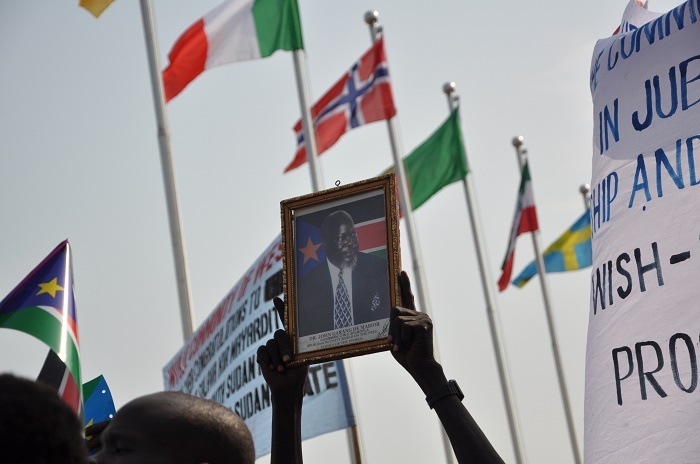 Nested along the Public Square Celebrations, which is named also John Garang Square, the Mausoleum is reachable by an arched entrance gate, and it is surrounded by tall fence. 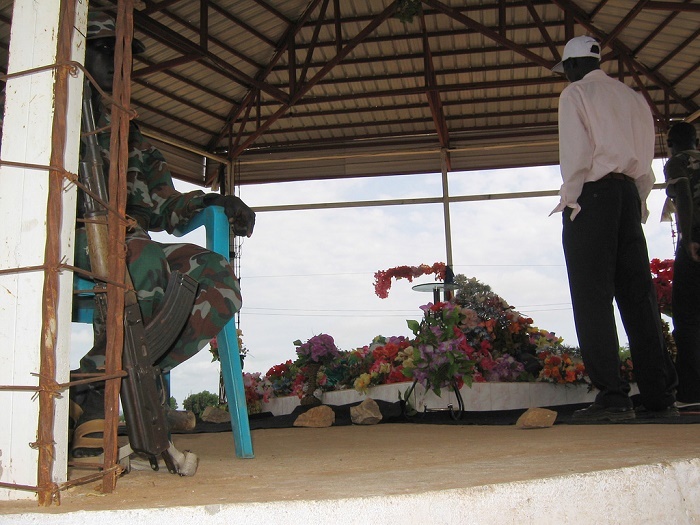 The John Garang Mausoleum so far has no official museum nor something else dedicated to the South Sudanese leader, except his final resting place which is covered with a sunshade roof, where one can notice right away the soldiers who are guarding the grave. 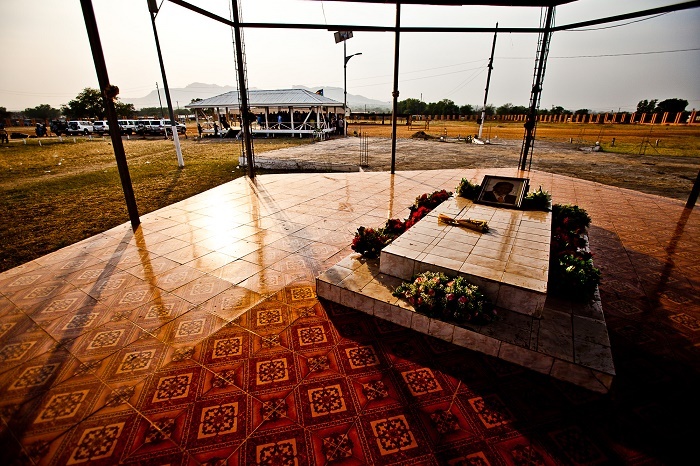 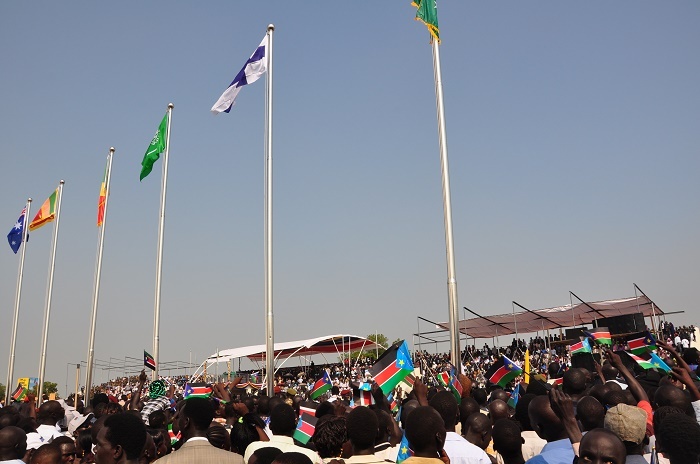 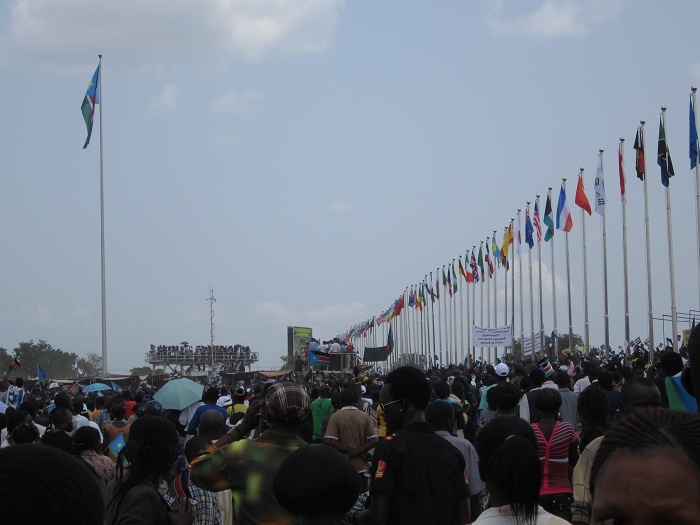 Because the burial ground is a key centerpiece in commemorations of South Sudan’s liberation struggle and independence day held yearly on 9 July ever since 2011, it is covered with linens in South Sudanese colors, and the photo of Dr. John Garang can be seen too on his final resting place. 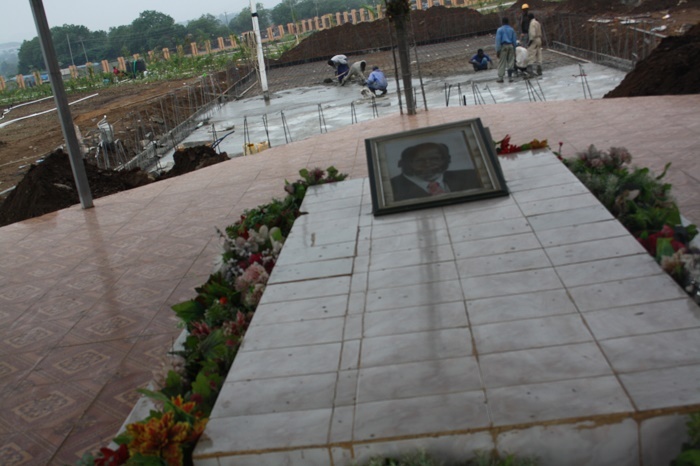 Being the symbol of everything what the Government of South Sudan is struggling for, this Mausoleum will become one of the major focal points for tourists in the future, as long as the security situation in the country improves, and the Government starts taking some measure to improve the grounds.